tomac66 wrote: Can you tell your proxy to ask the seller if there are a web page or blog to can see this doujinshi work? Okay, just got a reply. My proxy wasn't able to get a website/blog for this artist. Maybe the doujin will have a website listed in it. I just got a reply. My proxy wasn't able to get a website/blog for this artist. Apparently this is the author (Young Jijii)'s website (according to this page anyway). 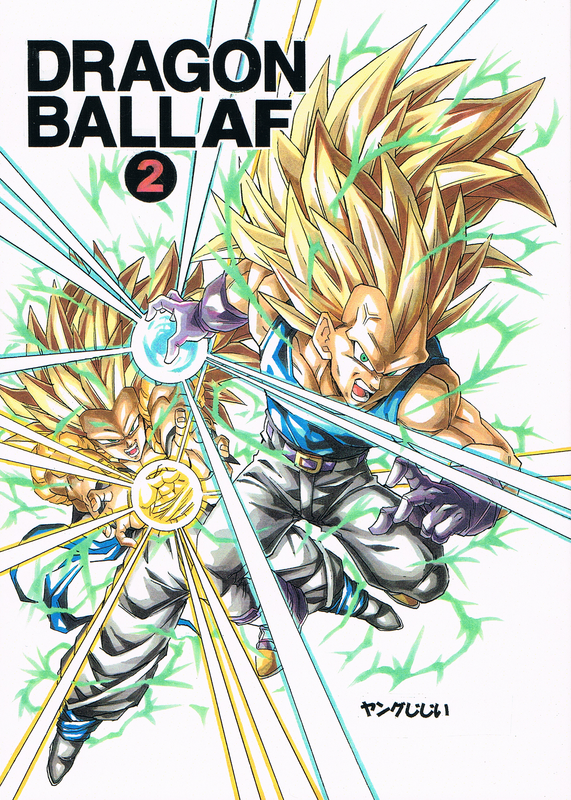 There's not much on it so far, other than a general explanation of the premise (3 years after GT, Pan in high school, Goten married to Palace, Vegeta has SSj3, the new enemy Ize). I take it that Kuriza does not exist in this manga. Okay, so I won it. Tomac, I asked my proxy to ask about volume 1. I'm just waiting for him to get back to me. Herms wrote: Apparently this is the author (Young Jijii)'s website (according to this page anyway). 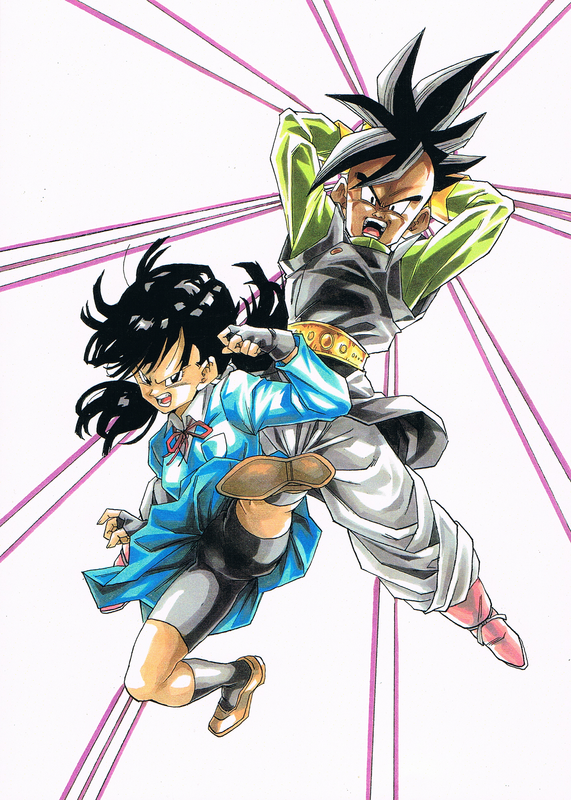 There's not much on it so far, other than a general explanation of the premise (3 years after GT, Pan in high school, Goten married to Palace, Vegeta has SSj3, the new enemy Ize). What are you using to bid on those items? The website I normally use for yahoo auctions won't bid for me on that site. For this doujin, I used my proxy, Ryusuke. He’s a very nice guy, really friendly and professional. I highly recommend him. I use other proxies from time to time depending on what I’m doing, but tend to just go with Ryusuke for the most part. There's probably cheaper proxies out there ... but I just go with who I trust most. StarRot wrote: Okay, so I won it. Hi, congratulations StarRot, I´ll hope you can buy the volume 1 too. Last edited by tomac66 on Tue Mar 15, 2011 3:15 pm, edited 1 time in total. I'll scan it and post it ASAP. This manga does sound better then Toyble's manga. I still find hard to believe that Freeza's son could be stronger then Omega Shenron. tomac66 wrote: Hi, congratulations StarRot, I´ll hope you can buy the volume 1 too. The #1 is out of stock. The seller will exhibit in on Mobaoku in near future. So ... I guess we just need to keep our eyes peeled for it? Don't know how soon is "near future". Well, it's a shame, all we can do is wait. Maybe you can ask again in a few weeks. My proxy just received the doujin today. Hopefully he can mail it to me tomorrow or the next day. I’ve been keeping my eyes peeled for volume 1 and 3 but no luck so far. I’ve done a bit of snooping, and it really is a very rare doujin. I will ask my friend to keep an eye to for them at the next Comiket – assuming I haven’t found them by then. If anyone does happen to see them for sale, please let me know. Dont worry, i´ll be watching too for the number 1, the number 3 isn´t released yet. tomac66 wrote: the number 3 isn´t released yet. Do you know when it's going to be released? There isn´t release date by the moment. tomac66 wrote: There isn´t release date by the moment. 'kay, Ryusuke just mailed the doujin, it should be here in 2-3 weeks, then I can finally scan it. Okay, so I received the doujin today, and I’ll start scanning it soon. However, I have some business to attend to first, so I don’t know if I’ll be able to scan it all today. Hopefully I’ll be able to get it all done, I’ve scanned 5 out of 55 pages so far.